A diagnosis does not define you as a person. Take the opportunity to introduce your healthcare team to the person behind the diagnosis. It is important that they know that there is a “whole” person in front of them with dreams, goals, insights, fears, hopes, questions, plans, and loved ones. Connect on a personal level with your healthcare team. You are a person of many dimensions, one of which is now living with ALS. A diagnosis of ALS is not a medical emergency, but it is an emotional shock. It is normal to feel afraid, uncertain, and at a loss of what to do next. It is a crisis which must be addressed, however try to not feel forced into making rushed decisions. There is time to talk and make decisions. 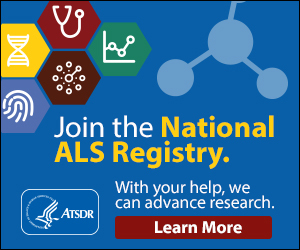 You have been experiencing symptoms that up to this point have not been labeled as ALS. You have now “landed on” ALS. As you move forward, remember that this is your diagnosis, your life, and your timeline when it comes to making decisions regarding your care and living the fullness of your life. Take time to experience all your emotions and allow an adjustment period to this diagnosis and its implications. Life is different now. What types of persons and behaviors do you respond to best? Do you prefer direct communication, do you withdraw, are you sensitive? Does too much information overwhelm you, or does too little heighten anxiety? How do you cope best? Being aware of who you are and what works best for you will help you as you make healthcare decisions, seek out support, and share your experience with family and friends. If it is too uncomfortable for you to explore these things, that’s ok.
Communication is a two-way street. How do you communicate? We all do it either verbally, through gestures, via body language, through writing, artistic expression or by our actions. What is your listening style? Do you offer your opinion, withdraw, look to others to listen for you, or ask questions? If you feel that your healthcare team is not hearing you or you are not able to hear them, it may be helpful to share that. In this way, both you and your healthcare team can ensure that you are receiving and giving the information needed to sustain your quality of life. Medicine has its own language. If you don’t understand what is being discussed with you, ask for clarification. You are learning a new language. Sometimes healthcare team members will use terms that they are accustomed to, but which you may be hearing for the first time. Ask the clinician to explain your diagnosis, clinical terms, etc. in commonly used language that you can understand. That is ok. This is not a test of your knowledge. The goal is for you to understand as well as possible what is happening to you so that you make informed choices. If you feel the need to do so, seek out a second opinion. Don’t be afraid to ask questions of your healthcare team. Be specific about the resources you need and keep asking for more as your situation changes. Your needs will change along the way and it’s important to let others know. You are your best advocate. Involve your family and friends so that they may ask their own questions, for you and for themselves. Let your loved ones know what you need also. They don’t always know what is helpful or how to best support a person living with ALS. A hallmark of living with ALS is the persistent and ongoing need to adapt physically, functionally, and emotionally. It is an act of self care, for you and loved ones, when you let others know what you need. Living with a life threatening illness can be isolating. You are not alone. It is a common theme when living with the effects of ALS to focus on energy conservation. Listen to your body and pace yourself. If you need to take a break or take a nap then take it. It is important to be aware of and nurture your physical energy, and to also care for your emotional energy. You may find you are feeling anxious or fearful. Reach out to whichever professional or personal interventions that work best for you such as supportive counseling, journaling, engaging family or friends, joining a support group, or connecting with your faith community, to name a few. You are a person first. A person now diagnosed with ALS. You are a husband or wife, daughter or son, father or mother, grandparent, aunt or uncle, a friend, a person with hopes and dreams. The status quo of your life has been radically altered. The way you view yourself and the world has changed. Set both short and long term goals for yourself. Reevaluate them on a regular basis. You may be able to meet some of your goals on your own; others may require some assistance—recognize the difference and take action. In situations that feel out of control, self-awareness, recognizing your own needs, and self-advocating can help you feel empowered.